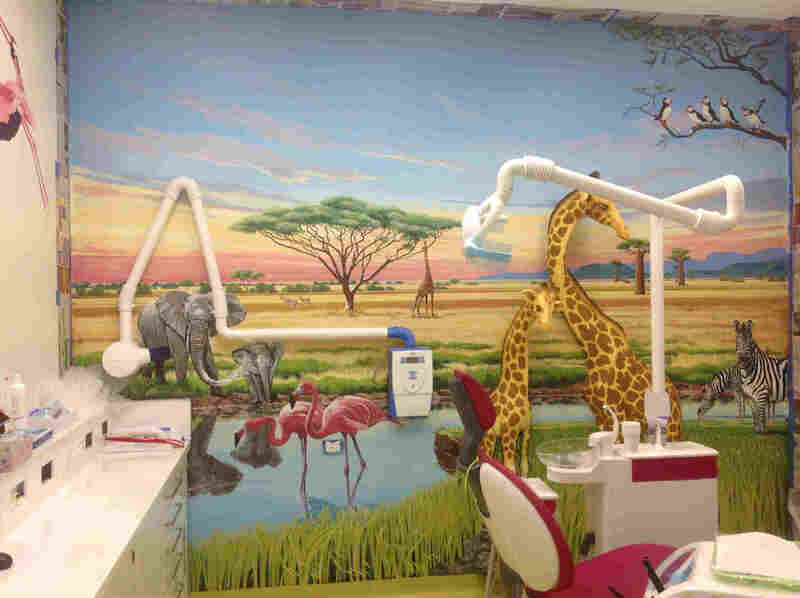 Gentle Dental practice, Wetherill Park has a children’s treatment room based on the theme of an African safari. 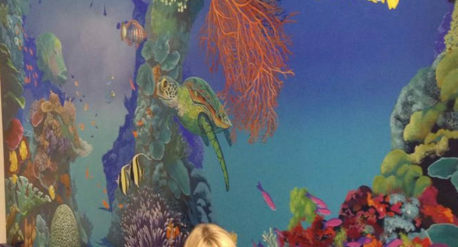 There are elephants, zebras, gazelles, boab trees, giraffes and beautiful pink flamingos that Annette painted into the mural. Some flamingos appear to fly out of the mural onto the adjoining wall. 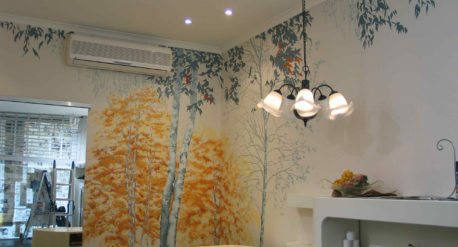 The mural is painted around 3D giraffes made by…….